The Kentucky Derby is May 7th and for the first time ever the Bentley Scottsdale Polo Championships is partnering with Turf Paradise in Phoenix for the only party in Arizona with live racing, betting and DJs trackside, and a lot of champagne in between. All ticket and tent details about the Stella Artois Derby Dayclub can be found at www.ThePoloParty.com/Derby. 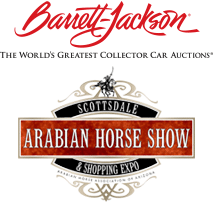 Other great partners for the inaugural event include Purely Sedona, the Scottsdale Arabian Horse Show and Bulleit Whiskey. Response to the concept has been impressive. There will be about 10,000 people at Turf Paradise Derby Day but only about 450 will be permitted in the only upscale tent on site. Over half of available tickets have already been sold with the event still two weeks away.